NOW is the time…Rates don’t wait! If you have higher mortgage payments, now is the time to change it! In recent years we have seen many changes in our national economy. We have seen cuts in interest rates given by the Federal Reserve cuts not seen for many years. One situation that influenced home foreclosures for many homeowners were the high interest rates they were granted. These mortgage loans were presented for a large number of months as a fixed payments and later converted into variable rates, causing a drastic financial instability in many homeowners facing now a new higher mortgage payment. The HARP Refinance Program gives the Homeowners that have not been behind in the last 12 months, and can prove income under the new conditions and repayment capacity; the opportunity to refinance with low current interest rates. This means that you can refinance even if the actual mortgage balance is higher than the value of your property on the market today. The HARP and FHA programs are the only programs that allow you to refinance under these terms. Compare and discuss your options and determine if refinancing NOW is financially right for you. 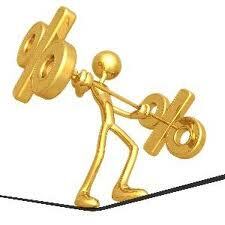 The essence of refinancing is to find the best fit and financial balance for you and your family. Remember, an informed decision is the best guarantee! This entry was posted in Borrowers, Broker, Broker Sandy Flores, California, Conventional Loans, Foreclosure, Home Loans on Demand, Home Mortgage, Homeowners, Homeownership, Housing Advocates, https://www.facebook.com/SandyFloresBroker, Jumbo Loans, Leaders, Leading your way Home!, Lenders, Los Angeles, Lower Payments, Mortgage Products, Mortgages, News, Orange County, Rates, Real Estate, Real Estate Broker, Realtor, Refinancing, Sandy, Sandy Flores, Sandy Flores Blog, Sandy Flores Broker, Sandy's Blog, Savings, Sell Faster, Sellers, Selling, Uncategorized, Wealth, Wealthy Borrowers, Wealthy Sellers, Why NOW is a great time to buy a house!, Why this is a great time to sell your home?, Why to check on your Interest Rate & APR and tagged An Increase In Number of Home Sales, Broker Sandy Flores, Distressed Homeowners, Don't wait for rates to go up!, Fannie Mae, FHA, Financially right for you, Freddie Mac, HARP, HARP Refinance - Home Affordable Refinance Act (Spanish), High Interest Rates, Home Loans On Demand, Homeowners facing a higher mortgage payment, How to get the best loan for your home?, How to invest in Real Estate, If you have higher mortgage payments, In recent years we have seen many changes in our national economy., Increasing number of mortgage applications, Learn How To Save Up To $100K On Your Mortgage Term, Low Interest Rates, Making Home Affordable, Many homeowners, now is the time to change it!, Now it the time, Reducing your mortgage payment, refinance even if the actual mortgage balance is higher than the value of your property, Refinancing now, Sandy Flores Blog, Sandy Flores Broker, Saving on Mortgage payments, The essence of refinancing, the opportunity to refinance with low current interest rates, Wealthy Borrowers, Wealthy Sellers, Zero Closing Costs. Bookmark the permalink.